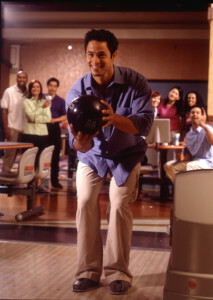 Bowling Leagues Are A Great Time At Lion Bowl! At Lion bowl we have many different bowling leagues including traditional bowling leagues, different scoring methods like 9 Pin Tap (9 or more on your 1st Ball counts as a strike), or different premiums (some leagues have cash prizes and some have trophies and other awards). Fall/Winter Leagues - 2017-18 Fall & Winter Season has started! We still have openings for individuals and/or teams! Join a League at ﻿﻿Lion Bowl...Get More Info Now!